We supply tattoo cartridges and equipment to tattoo studios across the UK & Europe. 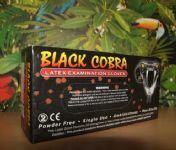 Tattoo Inks, Needles, Disposable Grips, Tattoo Cartridges, Aftercare, Tattoo Studio Furniture & Lighting, Medical & Hygiene Equipment, Tattoo Stencil Products & Paper and much more, including promoting products manufactured by UK Tattoo Artists!! 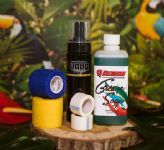 Jungle Tattoo Supplies was formed in 2014 – we had been supplying professional tattooists in the UK & Europe for four years previous to this as CAM Supply (UK) who are one of the world’s largest manufacturers, wholesalers and suppliers of tattoo equipment. Tattoo cartridges are preassembled, self-contained tattoo needle groupings inside a plastic tip. The drive of the machine repeatedly forces the needle forwards and backwards by sitting against the plunger inside the cartridge, rather than by a needle bar. 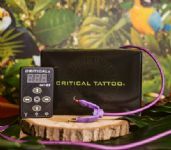 A bonus of this is that it is quick and easy to switch between different needle sizes throughout the tattooing process. Typically, cartridge systems are used with rotary machines rather than traditional coil machines. 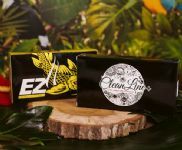 We currently stock and supply EZ Cartridge, as well as our own amazing Cleanline and Cleanline+tattoo catridge ranges. We also carry our range of high quality tattoo needles and disposable tattoo grips and tips, all at brilliant prices! Fusion Inks - 90+ individual colours and 15 ink sets, including Signature Ink Sets! Effortless Tattoo Ink - black, dark, darkest dark, zero, light and medium! 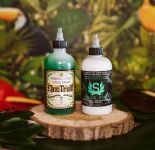 Nocturnal Tattoo Ink - World renowned tattoo artists Franco Vescovi and Jack Rudy have come together to provide an ink line that works like the drawing inks used in the industry with one important thing in mind: this ink is actually made for tattooing! 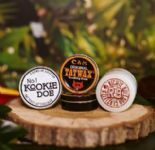 Tattoo machines from top names in the tattoo industry such as Rotary Works, CAM Supply Legend Pens, Sabre tattoo machines and the incredible Killer Bee! 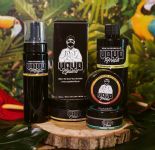 Yayo tattoo skincare products are handmade in Sheffield, cruelty free and vegan friendly. For use during and after the tattoo process. Range includes soaps, serums, aftercare cream and sachets. 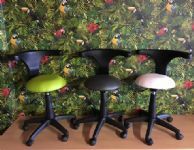 Tattoo furniture and lighting, including Tattoo Stools, Tattoo Studio Lighting, Tattoo Armrests and tattoo studio couches. The wonderful Kannaway range of CBD oil products, works synergistically with sustainable hemp oil for ultimate results! The Ronnie Starr range includes RCA Cables, clip cords, the Cube Power Pack and clip cord adaptors. 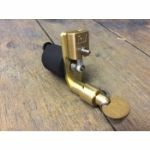 High quality, UK made tattoo power equipment that lasts! Power accessories for tattoo studios, including power units, foot switches, leads and cords. 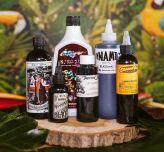 General tattoo studio hygeine products, such as Demon Green Soap, Intenze Cleanze, Demon Isoporanol, Viroklenz, Witch Hazel and sterilisation pouches. Don't leave yourself open to a costly mistake. Make sure you've got a decent stock of tattoo consent forms. Order your duplicate book for clients to declare health issues before being tattooed.